The Mortal Kombat franchise, at least in movie form, has been dormant for nearly 20 years. But it seems like it won't be for much longer. New Line has been planning on making a new Mortal Kombat movie for quite some time and now they have made a big step forward. The project now has a director in the form of Simon McQuoid. 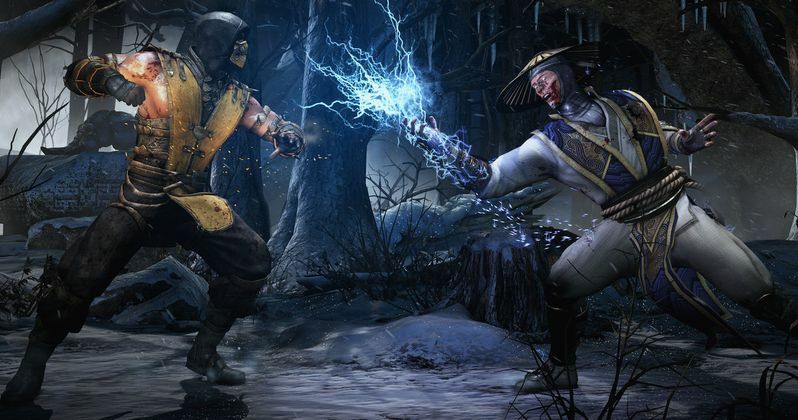 Variety is reporting that the director is in talks to helm the new Mortal Kombat movie for New Line. If the name Simon McQuoid doesn't stand out to you, don't worry, you are probably not alone. He is best known as a commercials director, but is very in-demand in that field and has worked on a lot of high-profile campaigns for companies like PlayStation, Beats by Dre and Range Rover. He has also won several industry awards such as the GRANDY Award for his commercial work. So he may not be a big name, but his resume is impressive. New Line Cinema originally announced plans to revisit the video game franchise back in 2011, and at the time it sounded like it would be a flat out reboot. We reported earlier this year that, Christopher Lambert, who played Raiden in the first Mortal Kombat, stated he was supposedly in talks to star in this new movie and that it wouldn't be a flat out reboot. Instead, it would be something of a sequel involving inter-dimensional time travel. The studio also tapped The Conjuring director James Wan to produce the movie last year, with a script from Oren Uziel (22 Jump Street) and Dave Callaham (Godzilla). Hollywood has always had a very difficult time cracking the code on video game movies, but it hasn't been for a lack of trying. One of the earliest attempts at this was the first Mortal Kombat live-action movie. There has been some truly abysmal video game to movie adaptations, and the sequel, Mortal Kombat: Annihilation definitely falls into that category. But oddly enough, the first Mortal Kombat movie isn't really that far from what could be a very good video game movie. It is certainly cheesy, and the effects don't hold up at all, but it is easy to see how they could take that template, update it a bit and use modern effects to get it right. It is just hard to know if Simon McQuoid is the right guy. James Wan very much feels like the right guy and even though he isn't directing, his involvement is definitely a credit to this new Mortal Kombat movie. He produced the horror hit Lights Out that came out over the summer and helped guide director David Sandberg to great success. Hopefully, he can do the same for Simon McQuoid in this situation. The first Mortal Kombat made $122 million worldwide back in 1995, which isn't bad money given what was considered to be a solid box office performance at the time. Mortal Kombat: Annihilation only made $51 million. New Line hasn't set a release date for the new Mortal Kombat, but if Simon McQuoid does indeed get the job, things should start moving along and hopefully this movie can finally get made. If Assassin's Creed winds up doing well in December, that may help encourage the studio to get the ball rolling as well.